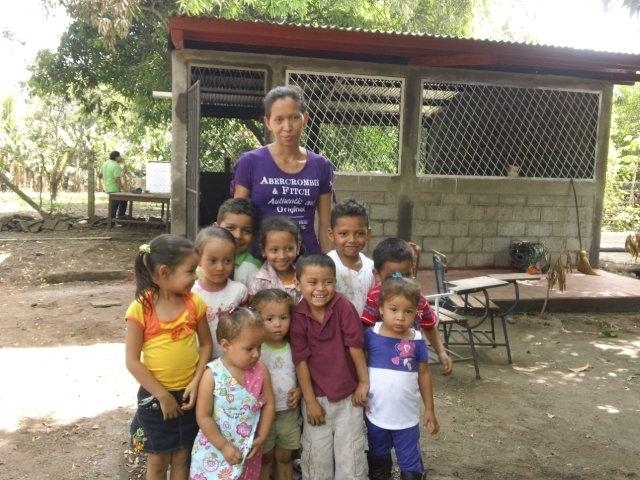 The Pre-school funded by Friends of Morazan is now complete! The single class room holds around 25 children, teaching a variety of different lessons to help them develop a multitude of important skills. 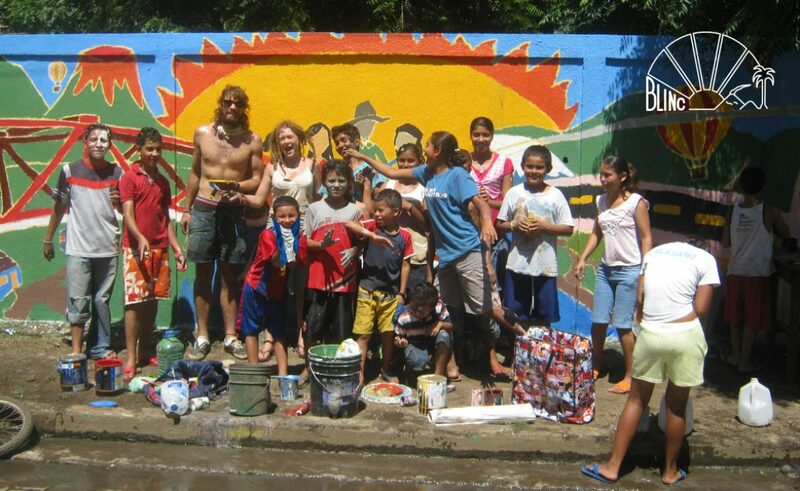 Here is an image of teacher Brenda and some of the students outside the new building.